3D Tour Link: https://my.matterport.com/show/?m=jHpEtdoH8bj - Classic Craftsman-style Bungalow with charming design elements and modern updates, expanded in the late 1990’s to include a family room, office area, enlarged master bedroom and second bathroom. Original hardwood floors in living room, formal dining room, and front bedroom. Recently updated kitchen offers quartz countertops, stainless steel appliances, plentiful cabinetry, Marmoleum flooring and recessed lighting. The light-filled family room and office nook provide ample room for everyday living and access to the backyard. The covered back porch offers relaxing and rejuvenating views over the well manicured backyard with raised garden beds, paver-stone patio, lawn and a bountiful arrangement of flowering plants. A detached garage and long gated driveway add convenience and privacy. Home expansion in late 90’s included new pipes and added electrical box. More recent updates include sewer line replacement, new hot water heater, and fresh interior paint. 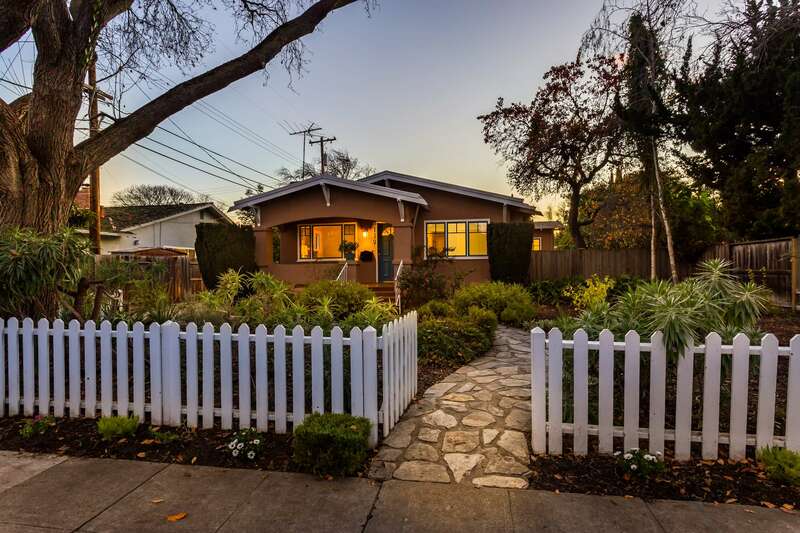 Nestled within iconic Midtown Palo Alto, this home is just moments from excellent schools, Midtown Shopping Center, Henry Seale Park, and Philz Coffee.